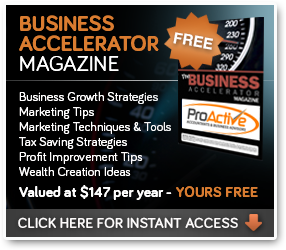 Want to Grow Your Business, Your Profits and Your Wealth? If you want to grow your business, your profits and ultimately your personal wealth, welcome to ProActive Accountants & Business Advisors. 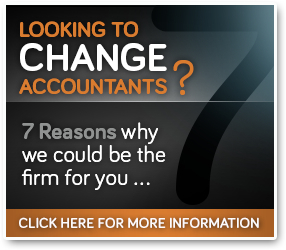 We are an innovative accounting and business advisory firm that specialises in helping business owners succeed. Our menu of services extend way beyond traditional bookkeeping and tax compliance services and our mission is to help you build a more profitable, valuable and saleable business. Our clients are generally ambitious business owners who want more than just compliance services from their accountant. In fact, it is our services beyond compliance that distinguishes us from other accounting firms. We work with business owners at all stages of the business life cycle and we have earned a reputation as business start up specialists. Our objective is to help you work smarter not harder by introducing you to some cutting edge marketing strategies supported by a range of business automation tools. We service clients across a broad range of industries and have developed specific expertise with the building trades, property developers and the earth moving and excavation industry. We have also developed considerable industry knowledge of the manufacturing, real estate and motor mechanic industries. With offices throughout Melbourne including Boronia, Vermont, Mount Waverley and the CBD we offer you advice that is both technically sound and cost effective. We believe our client brief includes helping you grow your wealth so tax effective strategies like self managed superannuation and negative gearing are an integral part of our firm. We listen to your needs, speak your language and no job is too big or too small for the team at ProActive Accountants & Business Advisors. Our dedicated team of accountants are committed to ongoing professional development so you enjoy access to the best technical tax and accounting advice available. If you're a committed and ambitious business owner looking to accelerate your success we invite you to book a free, one hour introductory consultation to discuss your business needs. You can expect practical business, tax, marketing and financial advice and to book a time, call us today on (03) 9761 0035 or complete your details in the box at the top of this page. Let's get to work ON your business so it is more profitable, valuable and saleable.